Blues Harp Directory for the best diatonic harmonica links. Bluesharp Info brings you all you want to know about the blues harp on the internet! 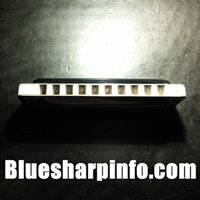 Click on "Bluesharp Directory" in our menu and choose a category to find a list of relevant blues harp /diatonic harmonica sites. Bluesharp Info brings you an impressive collection of relevant blues harp links on the internet. Discover all about the blues harp on the internet by visiting one of the many diatonic harmonica related websites about blues harp players, brands, bloggers, forums, harp tabs, and much more info about your favourite musical instrument and most popular harmonica type in the world. Find out that the blues harp is not only a blues instrument, but also a great tool for playing country, folk, rock, jazz or other music. Use the menu on top of this site to navigate through the world of blues harp related websites. Go to "Exclusive interviews" in our top menu to find out new facts about some famous diatonic harmonica players and read their tips from to improve you own playing. Recently we published an interview with Spider MacKenzie. Please support us and put one of our banners on your website so we can become the most important harmonica portal on the internet. You will find more information on our "Link to us" page.